HOLLADAY – Balance is a primary key to success for the Olympus High boys basketball team and it came into play right from the outset Wednesday night. The Titans have scoring options both inside and out, and they got both going in the first quarter in their matchup with Box Elder at the Utah Autism Holiday Classic in their home gym. With an attack that showcased scoring from eight different players, and three of those reaching double figures, Olympus closed out Day 3 of the event with a 61-50 win over the Bees. The Titans buried five 3-pointers in the opening stanza to counter the hot shooting hand of 6-foot-3, 245-pound Box Elder guard Darius McFarland, who scored nine of his team’s dozen first-period points. 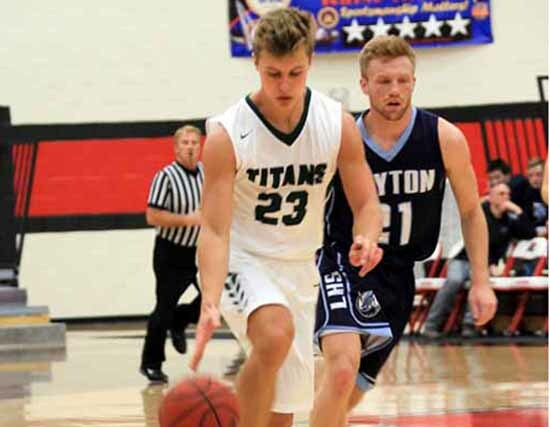 For Olympus, 6-foot senior guard Nate Fox and 6-2 senior guard Miles Keller each connected twice from distance in the opening eight minutes, while 6-4 junior guard Matt Lindsey scored five points as the Titans opened a 19-12 first-quarter advantage. Isaac Monson, the 6-8 senior forward, got heavily involved in the second period, scoring in the paint and outside the arc, while also attacking the rim to draw contact and getting to the charity stripe. By halftime, the home team had extended its lead to a dozen points at 36-24. McFarland got some scoring help beginning in the second quarter from 6-4 senior Jarom Mecham, but the Bees were cold from the perimeter and struggled to get anything going down low. With Lindsey and Keller sharing the scoring load and Monson dominating the backboards, Olympus continued to build on its advantage in the third period, and while Box Elder made a bit of a run behind Mecham’s long-range shooting in the final quarter, it was much too little and way too late. Mecham finished with 20 points to lead the Bees in scoring, while McFarland scored just four points after the initial stanza and finished the night with 13. Box Elder was also hurt by its lack of production from the bench. Outside a single 3-pointer by Chase Oliva in the first period, all of the Bees’ points came from its starting five, and 41 of the 50 points were scored by Mecham, McFarland and 6-4 sophomore Max Watson. 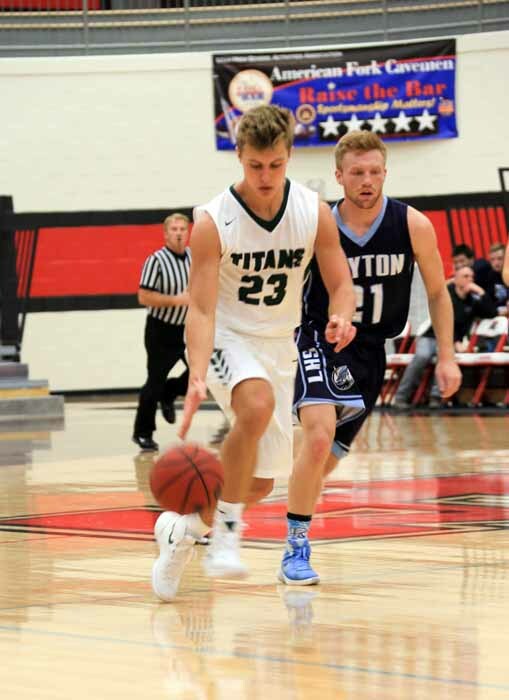 Monson had 12 rebounds to go with 14 points for Olympus, as the Titans received 16 from Keller and 10 from Lindsey. Box Elder (7-2) faced Tooele Thursday and will take on Corner Canyon Saturday in the events, while Olympus (7-2) faced West Jordan Thursday and was schedule to take on Jordan Saturday night to close out the Utah Autism Holiday Classic.